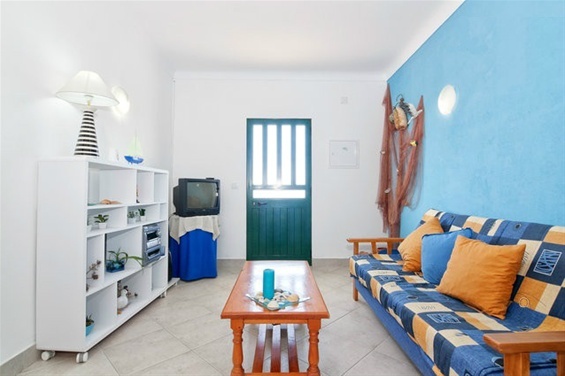 The cozy Apartamento Mar has at the front wonderful views to the sea and to the Ria Formosa, that’s why it is decorated with sea colors, sea images and sea details. 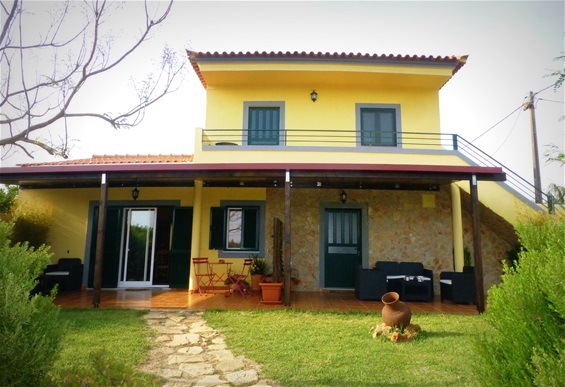 This apartment has 2 bedrooms with double bed, a sofa-bed in the leaving room and a small division with a single bed. It is complete furnished and it is intended for 4 (5/6) persons. At the back you can enjoy a private terrace with mountain view to the west and sea view to the east. 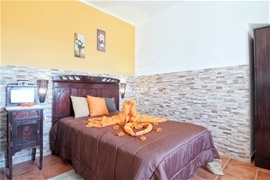 The stylish Apartamento Rustico has a decoration of the 30’s with original restored furniture of this time. The sun comes inside though a big front door that leeds you to the huge garden. 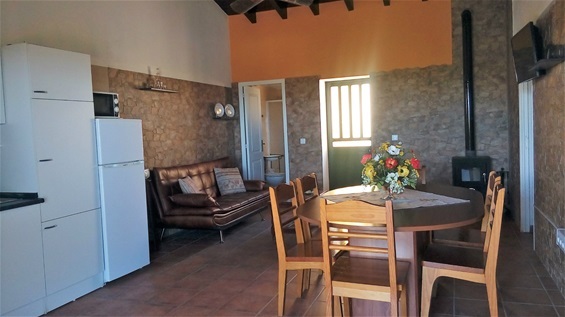 This apartment has 2 bedrooms with double bed, a sofa-bed for 1 person in the bigste bedroom and a single bed that can be used in the leaving room. It is complete furnished and it is intended for 4 (5/6) persons. At the back there is a private terrace where you eventually can enjoy your meals and at the front you can relax in the lounge sofa with view to the swimmingpool. 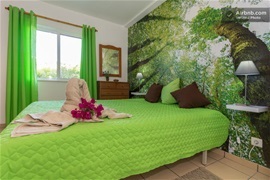 The decoration of the tastefull Apartamento Natureza is inspired on the nature that you can find all around Quinta Rodrigues. 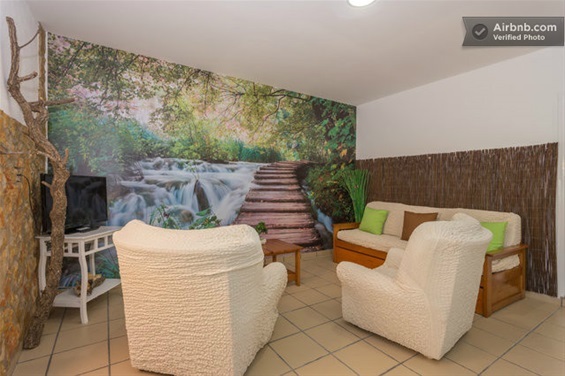 Beautifull landscapes in the walls and natural details here and there gives you a sensation that nature is also inside the apartment. This apartment has 2 bedrooms: one with double bed and the other with 2 single beds. In the leaving room there is a sofa-bed for 1 (2) persons. It is complete furnished and it is intended for 4 (5/6) persons. At the back there is a private terrace where you eventually can relax in the lounge sofa of drink coffee on the cozy seating conner. At the side terrace you can have your meals and at the front you can enjoy a swimmingpool view on a typical garden bench.